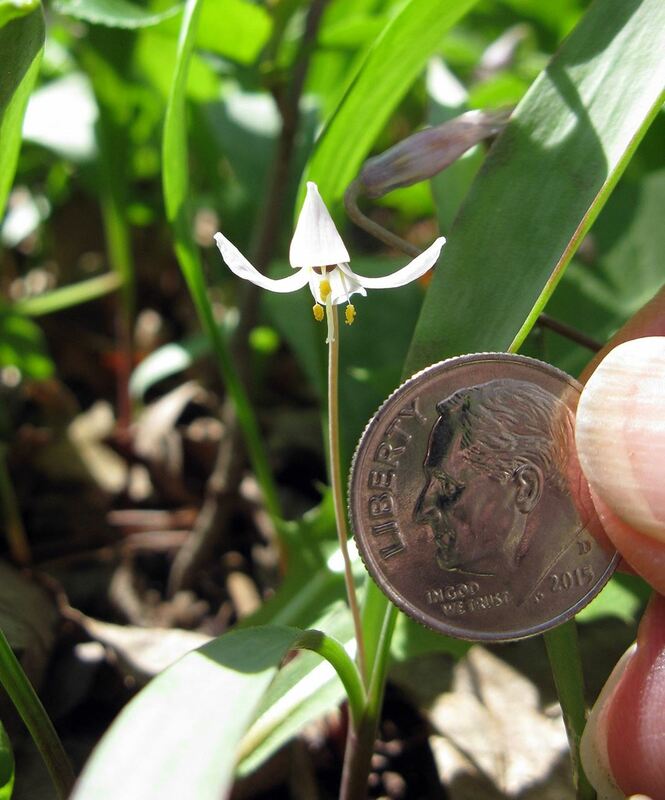 A tiny woodland wildflower, the Minnesota dwarf trout lily, was the focus of two outings led by botanist and GRC member Nancy Sather. The naturally rare as well as endangered Erythronium propullans is native only to several locations in southeast Minnesota, and nowhere else in the world. 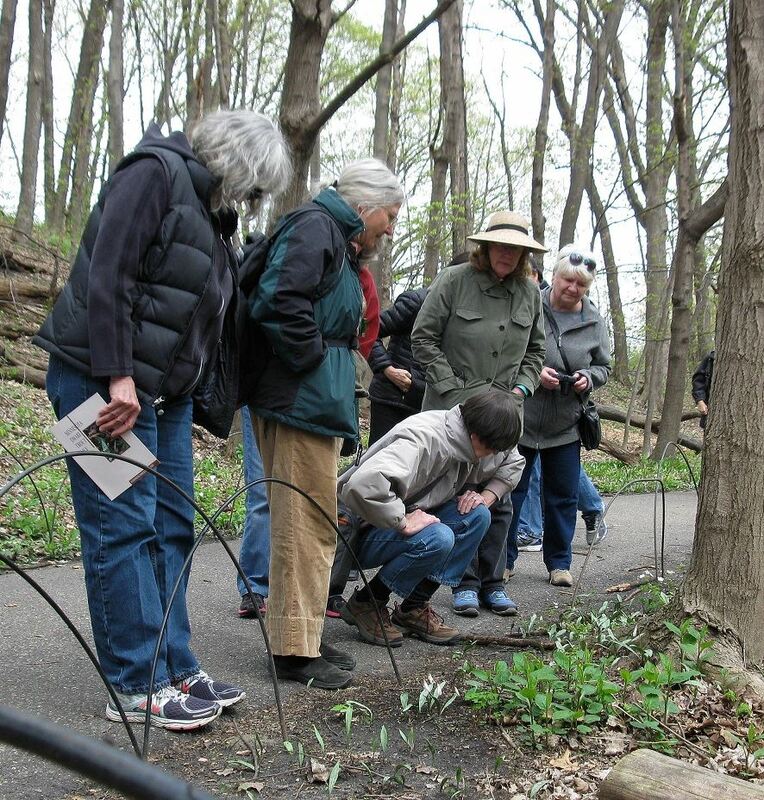 Nancy, a field botanist for the Minnesota Department of Natural Resources until her recent retirement, guided us on April 22 and 29 to plantings of trout lilies at the Minnesota Landscape Arboretum. 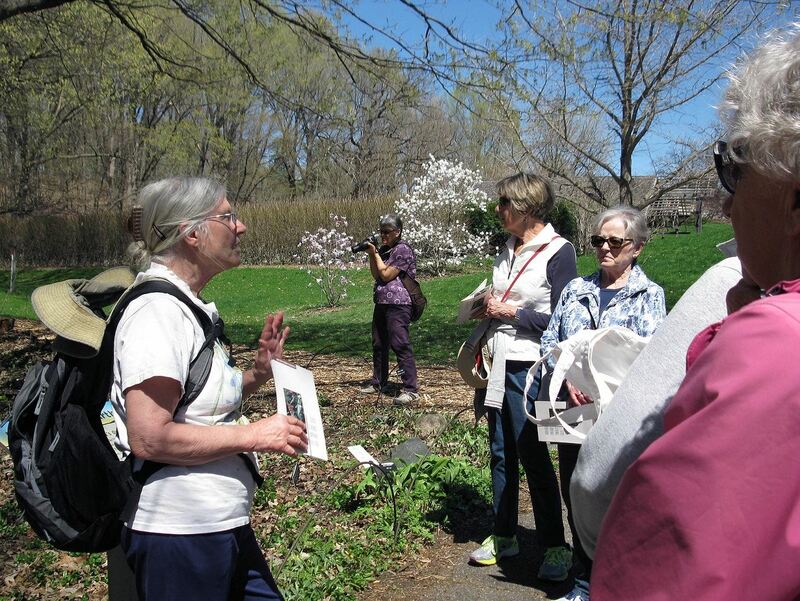 We learned basics, such as where to look for flowers and how to distinguish the dwarf from the white and yellow species, and we heard stories about the plantings at the Arb where Nancy helped establish the rare plant program. Nancy also shared recent scientific insights such as discoveries about multiple ways the plant can propagate. Nancy is an expert on Minnesota’s rare and endangered wildflowers, having managed programs for federally endangered species of wildflowers at the DNR.